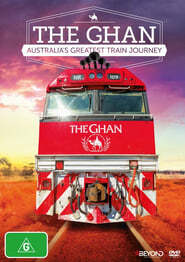 The Ghan is an innovative three-hour documentary that takes the viewer on an immersive, visually stunning journey on Australia’s most iconic passenger train. In Australia’s first ‘Slow TV’ documentary, The Ghan doesn’t just travel through the heart of Australia, from Adelaide to Darwin, it explores the part the Ghan played in the foundation of modern multicultural Australia. The documentary story of Madonna’s struggling days in New York with her first band “Breakfast Club,” leading up to her first solo record deal.